Good news, emoji lovers! We created a totally new cool photo sticker app with free emoji stickers for photos just for your needs! Emoji Camera Photo Stickers is an add stickers to photos app with a great number of emoticons which you can place on your pics with no effort! You don't need any of those fancy sticker makers, all you need is an phone or tablet, a cool pic or selfie, and this super emoji app, and you can edit camera photos any time and any place you want, and share them on Facebook, Twitter or Instagram! Be creative, smile to camera, take some selfies, decorate your pics with emoji stickers and have lots of fun! 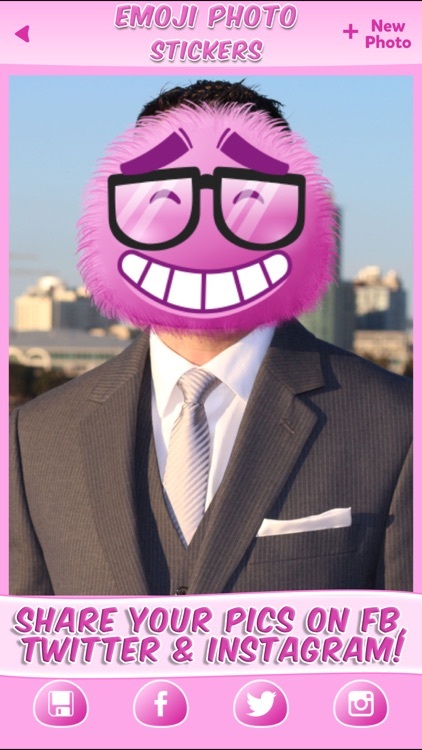 Express your emotions through smiley faces, and never run out of ideas of how to add smileys to pictures again! Download Emoji Camera Photo Stickers and play with emoji art! ** Funny stickers to put on ur camera pics! 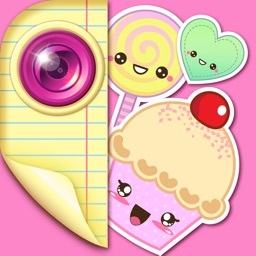 * Add stickers to photos you have in your phone gallery or take pictures anew! 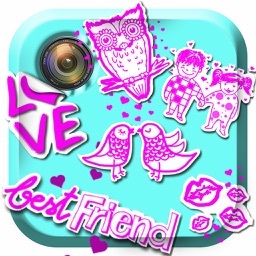 ** Download this sticker maker once and use it over and over again for free! * Decorate your pics with style! 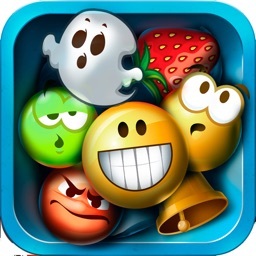 ** Write some messages or quotes beside putting emoticons! * Share them on Faceebook, Twitter or Instagram! 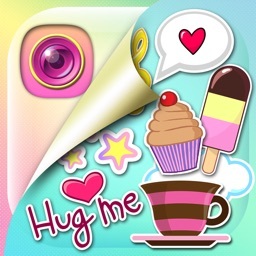 If you are crazy about camera photo stickers, you definitely need this emoji background app! 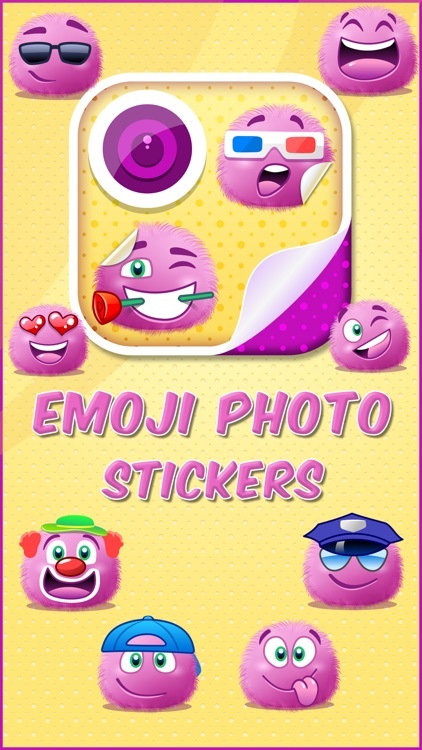 Cute emoticons for emoji pictures are packed in Emoji Camera Photo Stickers with love just for camera lovers, the best emoji creator on the sticker market! 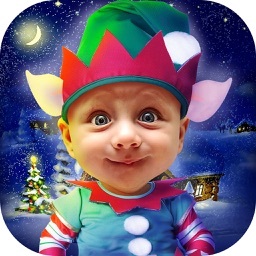 Insert a photo sticker to your newest picsart, make an emoji background for your smartphone or tablet and enjoy using this free smiley app. Unlike stickers online, these smiley stickers are usable even when you have no Internet connection. Choose a sticker design to express your emotions, select one of many free emoticons offered in this emojis for application, and put emojis on your pictures in an instant! This emoji camera maker is the best app for camera pics with smiley faces pictures that you could possibly get! Smile around, grab your camera, take some cool pics and add smileys to convey what you feel like and share your art of pics with the world. And what is more exciting, you don't need another caption writer studio to add text to pictures – you can do it right from this free app, write some love quotes or quotes about happiness or life, insert a smiley to your photo, and you've got a cute image to fit your phone gallery. 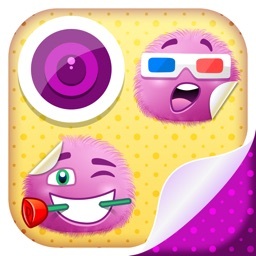 You can also make an emoji collage which is very popular these days, just select a photo from the phone or tablet, or take pictures with the camera, add emojis and your new wonder photo collage is ready! Don't miss such a fun, Emoji Camera Photo Stickers is the best photo editor with smileys you can download! Do not hesitate! If you are looking for a smiley picture editor which will help you add an emoticon to your photographs, your search is over! This free smiley face maker will free you from old boring photos with no effects and captions. 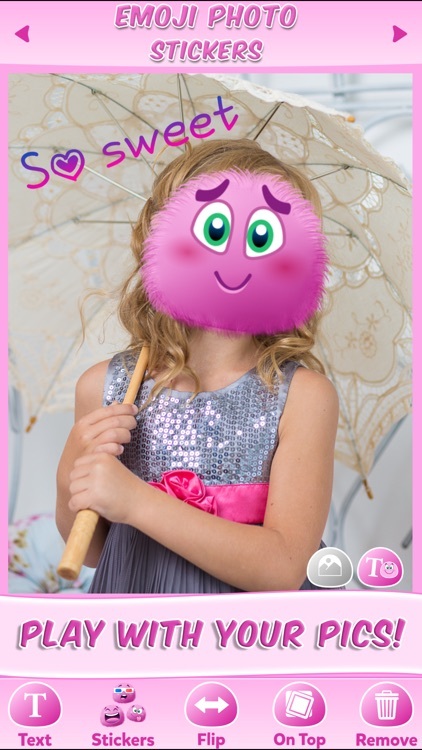 With this emoji camera sticker maker your camera pics can both get a cute emoticon or smiley face and the caption to make your images look ultra fancy and glamorous! Photo editing mania has begun! Your new picsart will become the magnet for likes on fb, and the coolest instapic on Instagram! Don't be afraid to share your emotions, smiley faces are here to enrich your images and convey what you feel like. Download Emoji Camera Photo Stickers now and be the camera photo editor number one!